If you remember, last Friday was the first week of the Operation Organization Challenge. We are picking one area to organize every week for six weeks. See here if you would like to join us. Here were my before pics of my shoe mess. 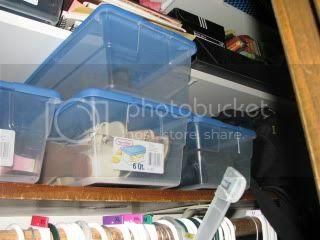 My challenge for next week is my linen/art supply closet. Come back next Friday to see the taming of the sheets!!! Well done you for getting that done!! I have been really unmotivated this week so haven't really even done the basics! 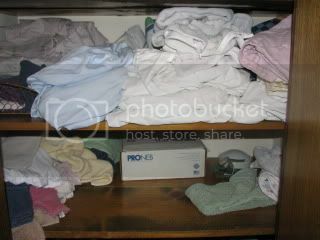 My linen cupboard and clothes cupboards look like your before pics! 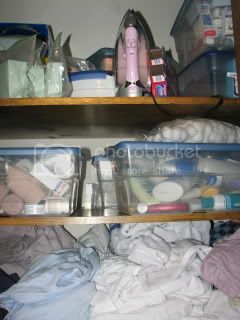 Oh, I do love a well organized closet! I can't wait to see the next one! I just reorganzied two of my closets this week. 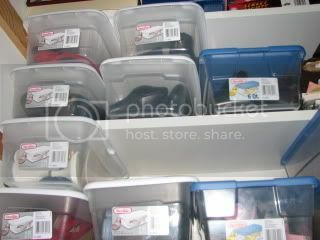 I must admit that the pictures of your art closet are giving me flashbacks. But, it was worth it and the heavens now open up and sing when I open those closets now. Wow! You did a great job! Now you'll be able to find your shoes! Can't wait to see what you do with the linen/craft closet. Good for you! How nice it must feel to be able to find a pair without digging through a bin! I'm ashamed to admit my shoes are still piled by the door where I left them when I read your post last week. Great shoe-taming! ;0) Looks fabulous! So glad you joined the challenge. It's been so fun to meet new friends! It looks great! Awesome job. I know it's frustrating whenever I lose a shoe somewhere in my closet or bedroom. I love organization. 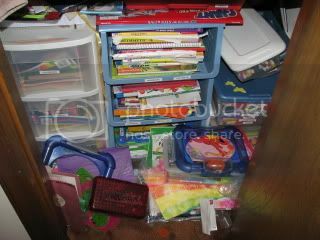 I am not always as organized as I know I can be, but hey, it's all about being flexible!